There is probably no more glamourous beach vacation destination than Waikiki Beach, Honolulu, Hawaii. When you buy a Waikiki Marina Resort Ilikai timeshare, you’ll have your own vacation condo in this world-class resort. You’ll have your own gorgeously furnished air-conditioned studio apartment that sleeps four and includes a private balcony, free Wi-Fi Internet access, a fully equipped kitchen, cable TV and much more. Shell Vacations Club at Waikiki Marina Resort at the Ilikai offers access to all of the things to do on the island as well as many on-site activities. 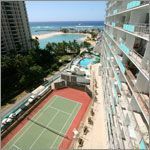 From your Waikiki Marina Resort at the Ilikai timeshare, you will be just steps from the soft, white sand of Waikiki Beach as well as very near to the Ala Moana Shopping Center. On-site services and amenities include a swimming pool, exercise center, business center, an excellent restaurant and concierge and laundry services. 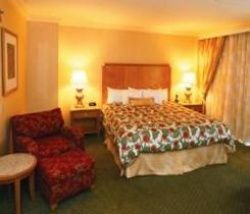 This in an ideal Hawaiian getaway where you can spend a romantic weekend or bring the whole family for a summer vacation. 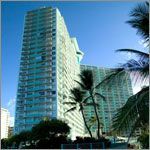 Buying a timeshare at Waikiki Marina Resort at the Ilikai offers you a chance to own a part of this great resort as part of the fantastic Shell Vacations Club. You’ll enjoy visiting all that Oahu has to offer including ancient Hawaiian stone temples, shows for visitors that are fun and exciting for everyone, and let’s not forget the world-class surfing all around the island. You can hike the inland mountains and look for treasure, called geocaching, or visit the monuments at Pearl Harbor, take shark tours, visit dolphins and dive and snorkel. 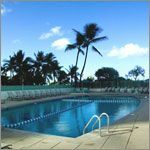 The Waikiki dive center provides all of the equipment and will give lessons. Hawaii never grows old, and visitors come again and again, so when you buy a Waikiki Marina Resort Ilikai timeshare, you’ll have your own share in this amazing place. Contact Shell Vacations Club at Waikiki Marina Resort at the Ilikai Specialist Today!